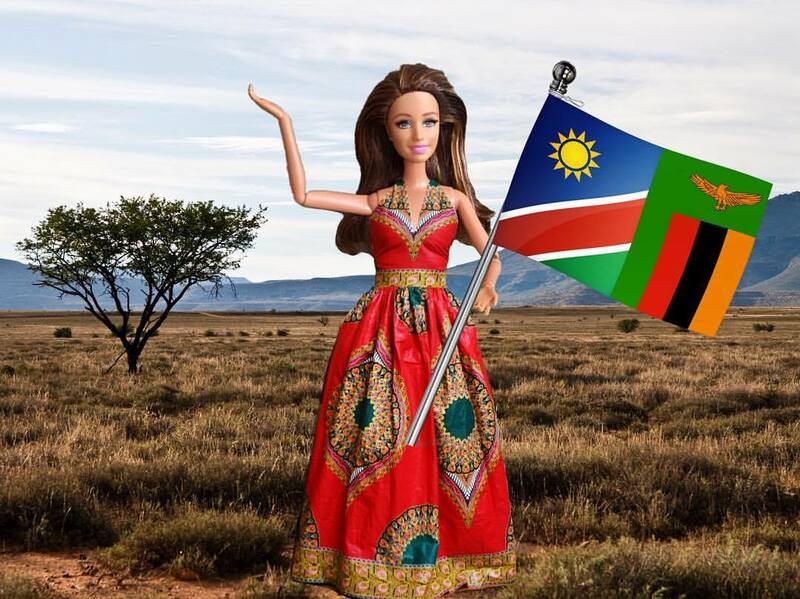 Development news: Barbie Savior travels to Nambia; UN leadership & gender parity; Sri Lanka's adoption baby trade; the limits of what free menstrual pads can solve; how bad is the new Tomb Raider movie? How the ICRC avoided a PR disaster with the gaming industry; C4D & digital thinking; no apps necessary: topping up phone credit for refugees; BRICS have not been able to challenge global governance; field experiments & re-visits; new books on Bangladesh's & China's development; thinks tanks & female leaders; who belongs in the new Lagos? A long-read about Nigeria's conflicts in Jos; girl gangs of El Salvador. Our digital lives: New university course in China on how to become an Internet celebrity: the Yoga-industrial complex; resettling in rural Nova Scotia; female art & empowerment. Publications: Anthropology & hip-hop; Robert Chambers is back! And this is not only about numbers, although numbers are very important. But it also has to do with being able to attract and retain and motivate women. It also has to do with special, temporary measures when situations need to be corrected because of this parity gap. 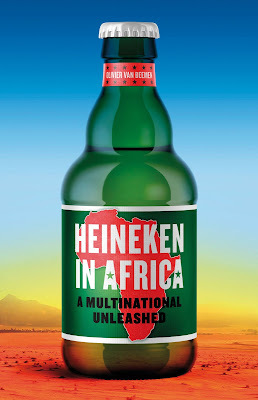 It also has to do with creating an enabling environment because there is a cultural aspect to it. And we also need a cultural shift. So as I said, I think this time we have targets that are bold but are realistic – that parity at the senior level should be reached in 2021. In most of the [UN] system, [parity] should be reached by 2026, and there will be a few outliers that will go until 2028. That is the ultimate target. As UNGA comes to a close an interesting interview with Ana Maria Menéndez on gender and leadership inside the UN system. Sri Lanka's health minister told the Dutch current affairs programme Zembla he would set up a DNA database to help children find their birth mothers. About 4,000 children are thought to be have ended up with families in the Netherlands, with others going to other European countries such as Sweden, Denmark, Germany and the UK. The BBC was one of many media outlets that has covered the story sparked by a Dutch TV program. Giving out pads is only part of what needs to be done to help girls manage their periods. It's not a "silver bullet solution," says Bethany Caruso, a postdoctoral fellow at Emory University. Courtney Columbus for NPR Goats & Soda with an important reminder that has been at the center of most development work since it started: Giving out 'stuff' always needs to be connected to local realities, broader social dynamics and power relations-and changing those will require a lot of efforts. White Saviour Barbie is so popular that they’ve now made a movie about her, starring Alicia Vikander. True, they’ve called the movie Tomb Raider for some reason, but anyone with half a brain can see from the trailer that it’s really about White Saviour Barbie. Perhaps the film will have a bit more depth and all this gap-year malarkey has only been forced into the trailer for the purposes of exposition. After all, we’ve yet to hear her say either of the two sacred gap year mottos – “They don’t value life as much here” and “These people have nothing, but they’re so happy”. Stuart Heritage for the Guardian is not happy with the latest trailer for Tomb Raider. It is that presentation that inspired the Laws of War DLC. In it, players take on the role of an international humanitarian aid worker. They are tasked with clearing unexploded ordinance from the same battlefields which they fought over in Arma 3’s base game. In the roughly five-hour mini-campaign, players see that fictional conflict from all sides, including from the perspective of civilians caught in the crossfire. Charlie Hall for Polygon with an interesting case study on gamifying humanitarian aid and the complexities for serious discussions between a billion dollar industry and traditional organizations like the ICRC. Digital communication is more engaging and meaningful to the individual. It allows communication participants to effortlessly be part of and influence the dialogue, and to contribute and be recognized through co-creation and visibility. This explains the rapid growth of social media users worldwide. How about we stop building apps for refugees and top up their phones instead? Today’s blog is a guest post from Fahim Safi. Originally from Afghanistan, Fahim is now seeking asylum in Belgium and acts as one of the administrators of the mind-boggling group, “Mobile Credit for Refugees and Displaced People.” This volunteer-run organization has already provided over $750,000 of mobile credit to people on the move. No this isn’t yet another effort to build “apps for refugees” here — it’s simply a question of topping off their phones, and it’s one of the smartest solutions we’ve seen. Fahim Safi for NeedsList. This sounds like a great and unglamourous way to support refugees and their communication-no new app, no hackathon, no European capital city-based incubator involved! Danny Bradlow for The Conversation wonders whether BRICS summits and the new development bank are really having an impact in promoting alternatives to traditional global governance approaches. Tavneet Suri spent time in the communities in Akuapim in Ghana that Markus Goldstein and I had surveyed five years previously. She documented remarkable changes in the external environment facing pineapple exporters, driven by the introduction of sea freight routes that substantially reduced transportation costs. This, in turn, changed the relationship between farmers and exporters in important and subtle ways that Rahul Deb and Suri model in their JDE paper. This is a great example of a light touch “re-interview”; it did not depend on access to individual level data from the earlier research, but by building on the original survey was able to observe institutional changes that would otherwise have been obscured. David McKenzie & Markus Goldstein for the World Bank Development Impact blog talk to Chris Udry about field experiments. So what I would dearly love to see is the two of them forming a dream team to swap countries (or methodologies), because I want to know more about the missing ‘why’ in China, and the ‘how’ in Bangladesh. The traumatic chaos, bloodletting and famine of Maoism must have had at least as profound an impact on China’s decision makers as the events of the 1970s in Bangladesh. And Ang could help Hossain more fully explain the alchemy by which a chaotic and ineffective government somehow gets officials to do good things (or at least not get in the way). I’d also like Hossain to take a look at the gender aspects of China’s rise – almost entirely missing from Ang’s book. Duncan Green for fp2p talks to Naomi Hossain and Yuen Yuen Ang in light of his recent reviews of their respective books. As a starting point, it is essential to look at both the organization and how gender is integrated across its policies and practices, as well as the leader’s style and characteristics. This is an essential next step for anyone interested in understanding why and how female leadership should be fostered, the difference it can make, and the importance of supporting organizational approaches to gender equality. Shannon Sutton for IDRC with more food for thought on gender and leadership in the philanthropic sector and another reminder to engage with power relations that go beyond a female leader. OluTimehin Adegbeye-Who belongs in a city? Underneath every shiny new megacity, there's often a story of communities displaced. In this moving, poetic talk, OluTimehin Adegbeye details how government land grabs are destroying the lives of thousands who live in the coastal communities of Lagos, Nigeria, to make way for a "new Dubai." Has democracy been an enabler of violence? The jury remains out on that; in the meantime, there have been repeat episodes of the crisis in 2002, 2008 and 2010. The trauma remains for survivors and their families even as the Middle Belt remains a potential hotspot for violence. Even more scary is the fact that both indigenes and settlers used weapons they kept in their possession from the first crisis — and those tools of trade remain dormant but ready. Eromo Egbejule reports from Jos in Nigeria with events that culminated in September 2001 and shed a light on the complexities of the country's developments since the end of Abache's dictatorship. Lauren Markham for the Pacific Standard Magazine with a long read from El Salvador and troubling insights into the lives of female gang members and the broader context of violence in Latin America. Beginning this semester, Chongqing Institute of Engineering, a private university in southwestern China, is offering a three-month course for aspiring internet celebrities, Beijing Youth Daily reported Thursday. The program is run in cooperation with a local company, which will be in charge of teaching the first crop of 19 students how to be better livestreamers. When I was an outsider, an Obruni, I belonged to universities and jobs and professions—the necessary, easy belonging of adulthood. But I found little satisfaction there. Jobs change, classes end. Now, as I tug on my heavy yellow gear and try not to trip over my own feet, I realize it is the excitement and camaraderie of service, of answering the pager-bomb, that has made this rural Nova Scotia village more of a home than any other place I’ve lived. Emily Bowers for Understorey Magazine reflects on her return to her parental village in Nova Scotia after more than decade working in Africa to find fire-fighting and belonging. Despite this, few of these artists would have referred to their work as “feminist.” Instead of a desire to advocate for women, their sensibilities were heavily shaped by the revolutionary struggle and the widespread resistance of their respective countries—even if their works did reflect a repertoire of issues addressed by feminism, such as motherhood, civil rights, and sexual violence. Benoît Loiseau for Artsy reviews a new exhibition project in Los Angeles, but also shares fascinating insights from Latina and Chicana artists and their struggles for empowerment. recognisability, and as a field that remains susceptible to the significant revaluation of constituent symbols or ideas. New open access issue of Suomen Antropologi. Robert Chambers contrasts a Newtonian paradigm in which the world is seen and understood as controllable with a paradigm of complexity which recognizes that the real world of social processes and power relations is messy and unpredictable. To confront the challenges of complex and emergent realities requires a revolutionary new professionalism. This is underpinned by a new combination of canons of rigour expressed through eclectic methodological pluralism and participatory approaches which reverse and transform power relations. Promising developments include rapid innovations in participatory ICTs, participatory statistics, and the Reality Check Approach with its up-to-date and rigorously grounded insights. Fundamental to the new professionalism, in every country and context, are reflexivity, facilitation, groundtruthing, and personal mindsets, behaviour, attitudes, empathy and love. Robert Chambers' latest book is available open access from Practical Action Publishing!